With the advent of winter, people across the region seem to be looking for a moment of togetherness and fun. 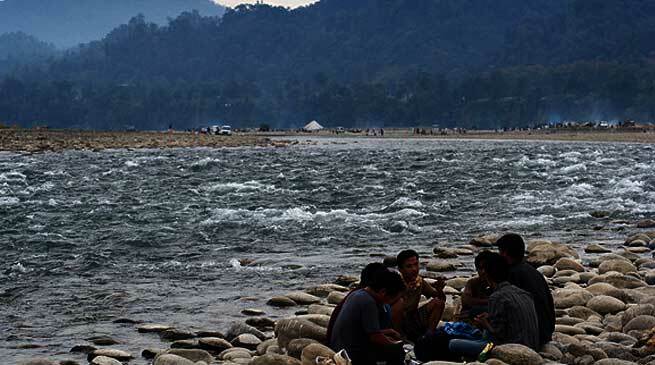 I would unwittingly suggest the place would be none other than the river Noa Dihing in Miao subdivion of Changlang district in Arunachal Pradesh which is definitely a perfect picnic spot where one can enjoy and have fun with a group of friends and families. The Noa Dihing is one of the best and apt destinations where people from across the country as well as other Nations throng in every year to enjoy fishing, rafting, Picnic etc. It is just at the helm of the famous Namdapha Tiger National Park. There is no doubt the river is turbulent and mighty even though it looks calm in winter but it is horrifying in the summer, so utmost measures must be adopted if you have included this place as one of the destinations to visit in your list. It originates directly from the Patkai hills across Tiger Reserve and National Park, amidst a true wilderness and enchanting beauty of lush green vegetation, impenetrable pristine and virgin forests covered an approximate areas of 1985 square kilometres having diverse flora and fauna that lies in the international border between India and Burma within Changlang District in the state of Arunachal Pradesh in the northeast India. This Noa Dehing which lies across the tropical rain forest flows down along Assam, touching various towns like Margherita, Tinsukia and Dibrugarh which culminates at mighty Bhramaputra river in the state of Assam at Dihingmukh. The Noa Dihing or Burhi Dihing is a large tributary, about 380 kilometres 240 m long of the Brahmaputra River in Upper Assam in northeast India. The river originates at 2,375 metres or 7,792 ft above sea level in the Eastern Himalayas called the Patkai Hills in Arunachal Pradesh and flows through Tinsukia and Dibrugarh Districts in Assam to its confluence with the Brahmaputra. Its watershed covers about 6,000 square kilometres. The Dihing has created number of oxbow lakes in various areas along its body which is worth visiting in winter. This is the river that divides Miao and the Diyun circle in Changlang district, the locals construct a temporary bridge with the help of planks and bamboos during the winter to across over to its neighbour circle apart from small boat being used to transport the goods and commuters.